Were did you find the rear window luvers? Pip, where did you get that grill? Did you make it and if so how and what did your use? 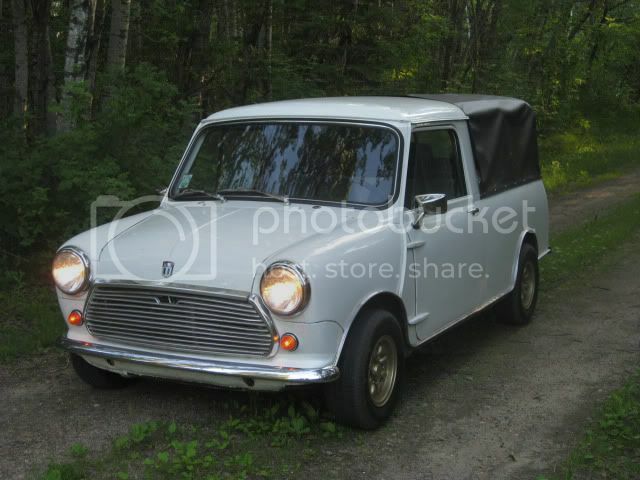 Heres My Mini. A 1960 Austin Seven. Badged as a Morris Cooper S with a 1275 fitted instead, I bought this car from Tyler Gildred of Gildred Racing in California. 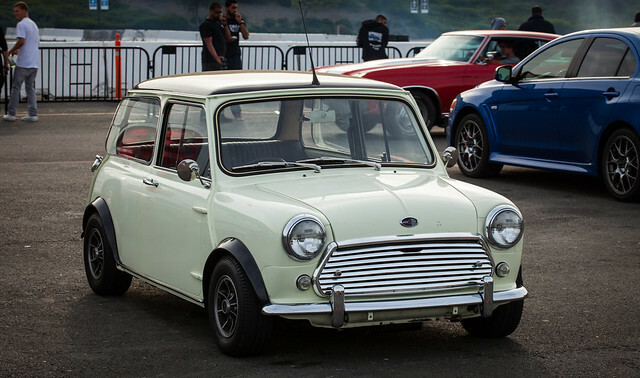 Always a fan of the Mini and a big fan of the Works Comp team Mini's. I decided to turn this one into a replica of my favorite Monte Winner of '65. Tyler's team added the lights/wheels for me and now it's slowly coming together here in NY. Yes, most of them were active MM forum members, too many to name but like Alex, l know most of them That Moke had the 1430cc engine, just a beast, it went to Kenya in the "Big Moke Caper"
A nice November day in the woods of Farmington MI. If my memory serves me right this photos was taken at a Mini Meet some time ago. It included people at the Meet that were active on this community forum. How many people do you recognize? 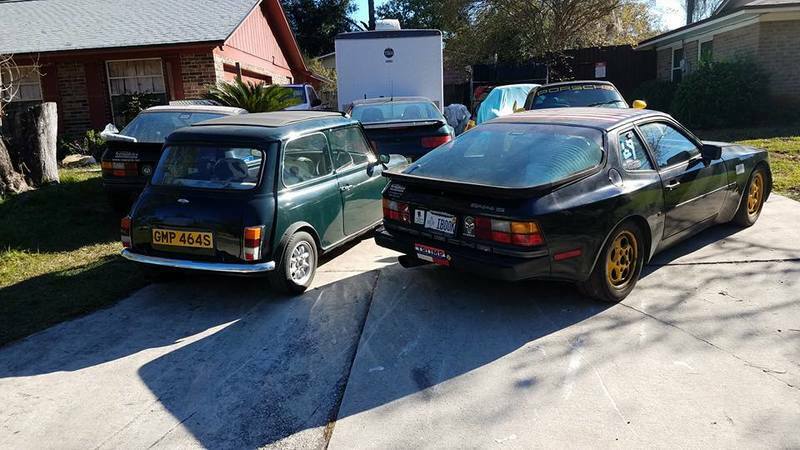 The brown and red minis are both owned by my youngest son . 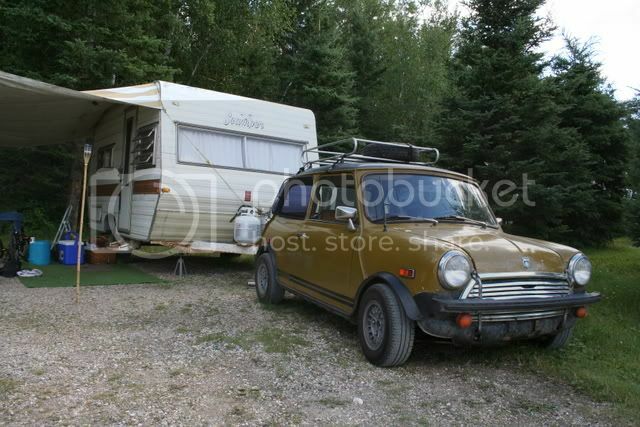 The yellow model is a replica of his friend Will's mini and anyone for an ice cream? 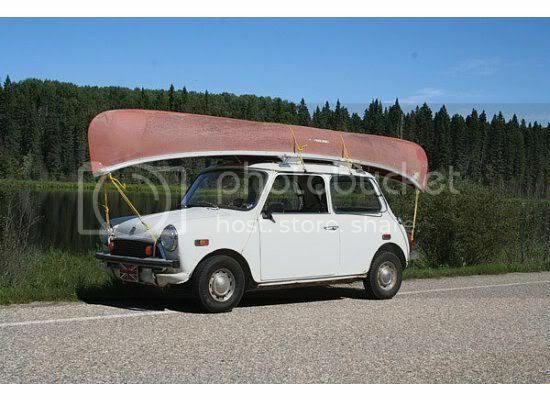 Love the canoe on the roof of the mini , where are you , looks like Canada to someone back in England UK . Great place , Great picture . Morning meet up at the Charlotte stop on MTTS 2016. 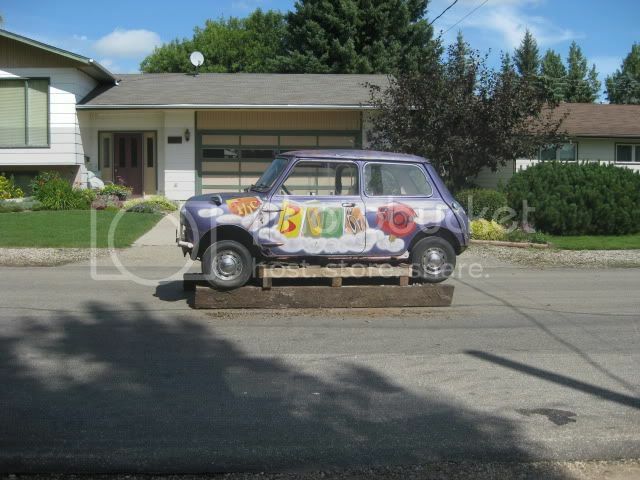 They let classic minis start a new line so we would be out front. There were at least 2 other classic minis that morning that I saw. One got an award for car of the day. 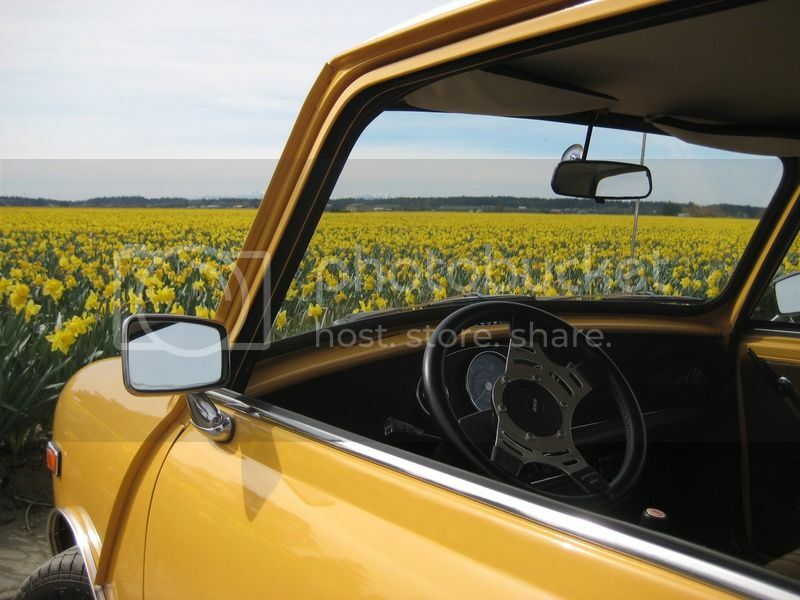 Where did you purchase the rear window screen?? Here's my poor '63 pup.